It’s December, so get thee to a bookstore! For inspiration, here’s this year’s Holiday Book List. We all have our book buying habits, but I encourage you to support your local independent bookseller. For those of us here in Newport County, Island Books in Middletown is a treasure trove. Free gift wrapping, some excellent suggestions for everyone on your list, and if they don’t have what you’re looking for they will get it for you without any fuss. Now without further ado, here are some of the books I read this year. For more info on each (plus a few I didn’t include here), visit my Goodreads page. And before I rush off to Island Books for my own holiday shopping, below are links to previous years’ lists. 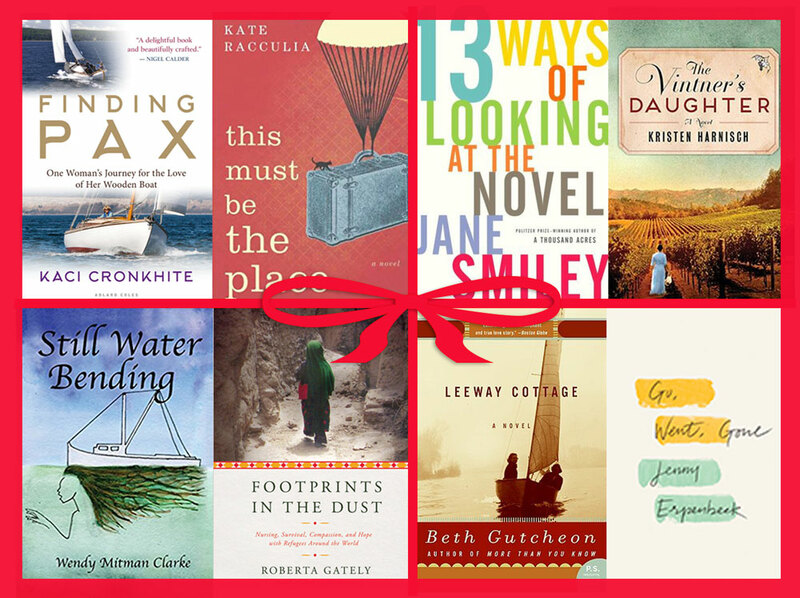 (One of the best things about giving books as gifts is that they never go “bad.”) Happy shopping, reading, and holidays!